When they're not hard at work, used Ford trucks supply off-road adventure and good, clean, boat-towing fun. Whether you're looking for heavy-duty workhorse or some extra horsepower to move your family camper, the Ford truck lineup has a model for you. In the realm of utility, used Chevrolet trucks have the entire spectrum covered. From the mid-size Colorado to the heavy-duty Silverado 3500HD, these trucks are equally ready for work and play. From nine to five, use your Chevy truck to tow and haul heavy supplies. After hours, take advantage of these trucks' optional four-wheel-drive performance and rugged stature to explore rugged off-road territory. With its roomy seating and sporty, fun-to-drive nature, your used Nissan Altima will be a smash hit with the entire family. Your kids can enjoy road trips in premium comfort, and you'll have a great time behind the wheel, zipping around corners and down winding highways. Combine family togetherness with European-style luxury in the used Nissan Maxima. The cabin heaps on the refinement, with generous passenger space and swank leather upholstery. On the road, the Maxima is smooth and powerful, but it's also got an athletic side, earning its reputation as a four-door sports car. If you're searching for your perfect used model, give our buying guide a go. The used Mitsubishi Outlander Sport is a compact SUV that's known for its plush passenger accommodations, athletic performance, and substantial safety gear. Inside, the cabin is stocked with modern tech gear that keeps you connected on the go. Under the hood, the Outlander Sport balances athletic power with contemporary fuel economy. 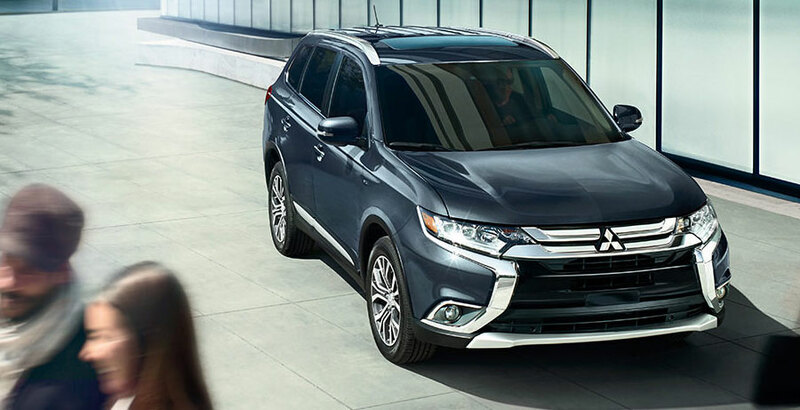 The used Mitsubishi Outlander is an excellent compact crossover SUV that provides family-friendly space, comfort features, and modern safety technology. Recent models even offer a third row - a rarity in this segment - so there's always room for the entire family. The Outlander also comes with impressive warranty coverage, so you have plenty of peace of mind going forward. The used Mitsubishi Mirage is a subcompact sedan that's known for its affordable price tag, comfortable passenger accommodations, and tech features. Inside, you'll find substantial head- and legroom. On the road, the Mirage feels smooth and refined. Engine options balance a quick performance with excellent fuel economy. The Mitsubishi Lancer is a sporty compact sedan that offers eye-catching style, plenty of muscle, and plush interior comfort. The used Mitsubishi Lancer is a great pick for a wide range of buyers, including urbanites and commuters. Driving enthusiasts will love its sharp steering and overall responsiveness. The used Mitsubishi Galant is a mid-size family sedan that provides interior comfort, premium safety features, and a smooth, quiet ride. 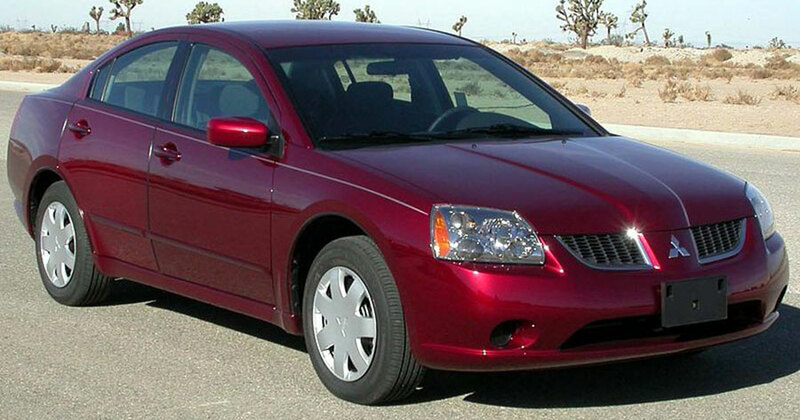 The used Mitsubishi Galant is a great pick for a wide range of buyers, thanks in part to its budget-friendly price tag. It's certainly an excellent value. The used Mitsubishi Eclipse is a compact coupe that delivers substantial on-road presence, speed, and interior style. It's easily recognizable as one of the most popular sports coupes to ever hit the American pavement. When you shop used models, you'll find plenty to like - including an affordable price tag.